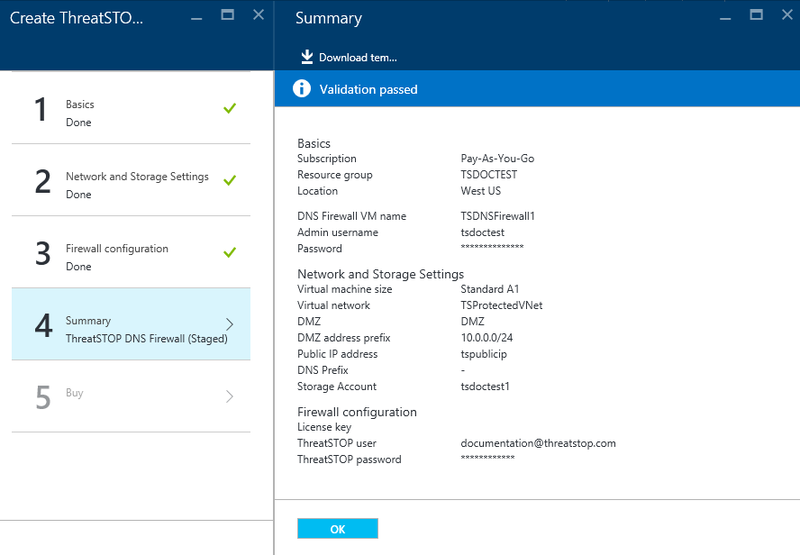 This document describes the integration process of the ThreatSTOP DNS Defense with a BIND 9 DNS server running on Microsoft Azure. 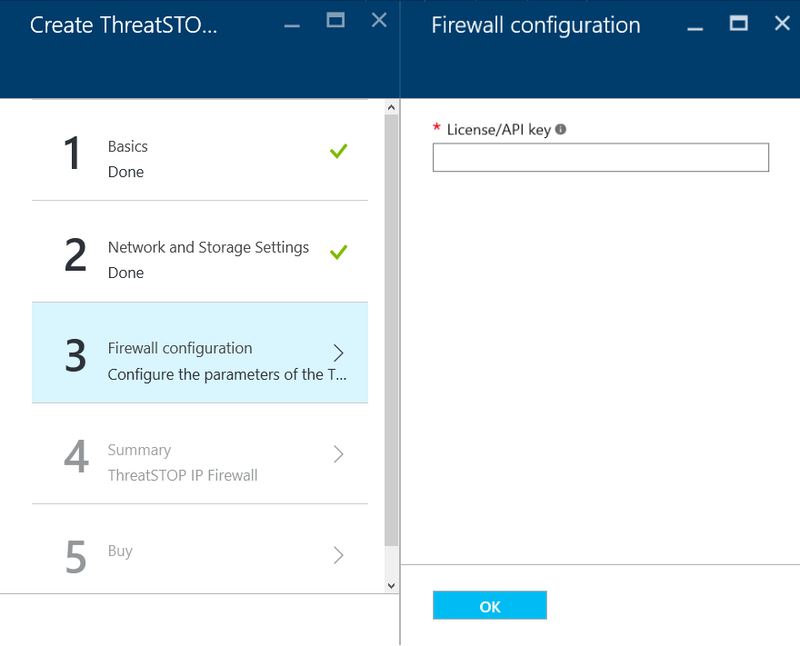 Setting up a ThreatSTOP account for Azure is simple. The first thing you will need is a ThreatSTOP account, which you can sign-up for here. After providing your information and logging into your account you’ll be presented with a pop-up similar to the one displayed below. Click Copy Key to Clipboard to save this value, you will need it during the Azure side of the account creation process. 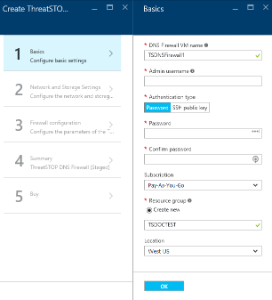 Login to your Azure portal at https://portal.azure.com. 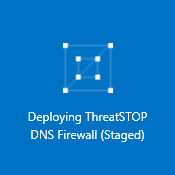 Click on ThreatSTOP DNS Firewall in the search results. There are five blades of information to provide prior to deployment. Fill out each blade in turn, click on OK at the end of each blade to save the new settings. DNS Firewall VM name – choose a server name. Because TS recommends deploying two DNS firewalls (for redundancy), a suitable name is something like “TSDNSFirewall1” for your first deployment, or “TSDNSFirewall2” for your second deployment. Admin username – this is the root username for the DNS firewall, e.g. “tsadmin” or “dnsadmin”, etc. Password – make this a complex password. You will use SSH to remote into your DNS firewall using this password. 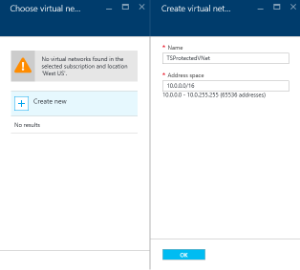 Location – the Azure location must match the location of the Virtual Network (vnet) you wish to protect. Note: After setup is complete you will want to change the SSH rule to only allow access from inside your network. This is covered in Add a Network Security Group to your client Subnet - Securing the SSH Login Method. Resource Group – you can select an existing Resource Group or create a new one for your DNS Firewalls. 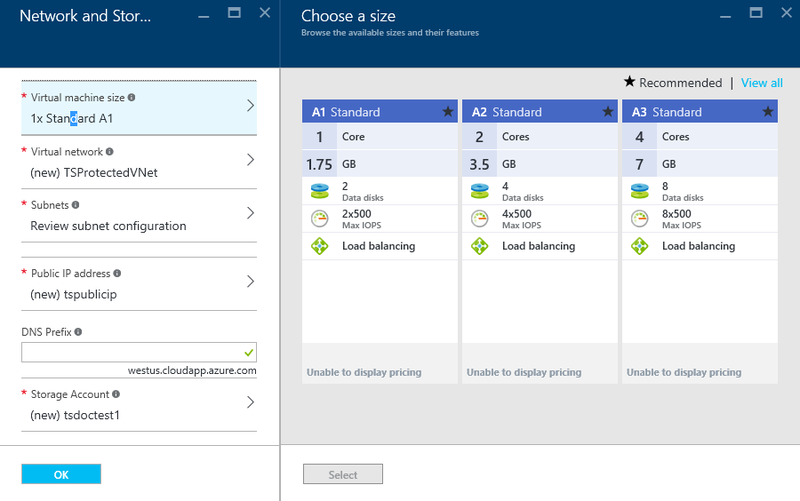 Virtual Machine Size – select a virtual machine size. Your ThreatSTOP advisor can help you select an appropriate VM size based on your predicted workload. Cost varies by machine size. Note: Azure A2 is our default deployment VM, A3 is also acceptable. Subnet - select or create the subnet where your DNS Firewall will reside. Best practices dictate that your DNS Firewall should be in a separate subnet (e.g. a DMZ) from the machines you wish to protect. You should select an existing subnet for the DNS Firewall. 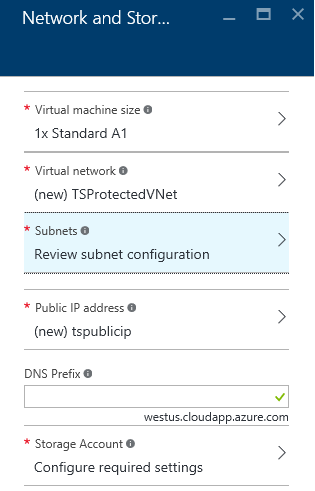 If you are using an existing virtual network and would like to create a new subnet for your DNS Firewall, you should create the subnet first through the Azure portal prior to installing this marketplace solution template. Public IP address - name of the subnet that will provide the public IP address for your DNS firewall. DNS Prefix - enter a custom prefix for the FQDN of the public ip address for the DNS firewall. It should be lowercase letters and numbers only, dashes allowed. Storage Account – select or create the storage account and storage type to hold the virtual machine. Because the DNS Firewall is not storing critical data, premium storage is not needed in most situations. For more information see: Azure storage documentation (https://azure.microsoft.com/en-us/documentation/services/storage/). License key – enter your ThreatSTOP license key. This is the API key you copied to the clipboard in ThreatSTOP Account Setup. 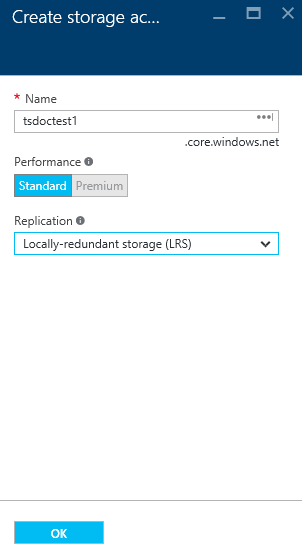 review your deployment selections and click OK if no changes are needed. Review the Terms and Conditions, then click the Create button to start the deployment process. This process will take around 10 minutes to complete. This will close the setup windows and an icon similar to the following will appear on your Azure Dashboard. Once this changes your Resource Group will be available, and you’ll be able to login to your new DNS firewall. Use the same license key and ThreatSTOP account credentials. ThreatSTOP DNS Firewall is licensed in pairs, so the same license key will work for up to two servers. 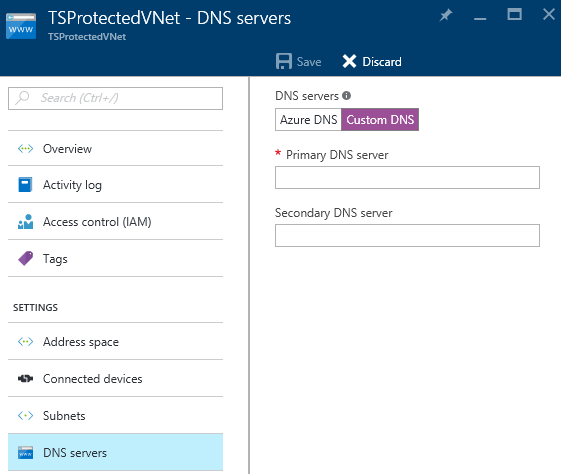 Note that your DNS Firewalls will be deployed into an Azure Availability Set named “TSAvailabilitySet”. Open the resource group by clicking on its icon in the Azure Dashboard. Click on the icon for your Virtual Network. This will open the Virtual network blade. 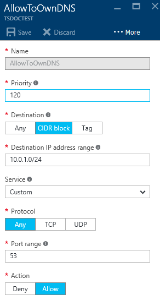 The connected devices will list the IP address for your DNS Firewall device. This can be used with your favorite SSH program to access the server. The username and password provided in 6.a.iv will allow login to the server. In the Azure portal, click on the resource group containing the client subnet. Click on the virtual network containing the client subnet. Enter the internal IP address of your primary DNS firewall. For new virtual networks, for example, this address is 10.0.1.4. Please verify the IP address in your installation. If you have deployed a second DNS Firewall, enter its internal IP address as the Secondary DNS server. In your Azure portal open the Resource Group for your DNS Firewall, click on on the Add + button. Type “network” and select Network Security Group (NSG) when it appears as an option. 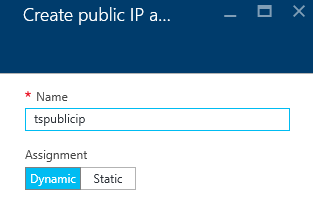 Use the Resource Manager as your deployment model and click on Create. Enter a name for your NSG, e.g. “TSDNSClientNSG” and select the Resource Group containing your protected virtual network. Once deployment of the NSG is completed, select the new NSG. Destination IP address range: [enter the CIDR of your DNS Firewall DMZ, e.g. 10.0.1.0/24, or just the CIDR of your two firewalls, e.g. 10.0.1.4/31]. Note: This will be the same IP address or CIDR range as you use to login to the DNS Firewalls. 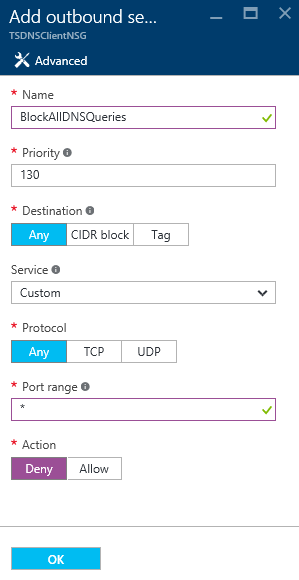 You may also want to click the Default rules button to add the Azure default outbound rules for Internet traffic. Rules are checked in the order of priority. Once a rule applies, no more rules are tested for matching. You should also create inbound rules in the NSG to allow whatever inbound access you need to your client subnet. Typically, you would allow RDP and/or SSH traffic from a jumpbox or other network, plus any other ports needed for your network. By default, the DNS Firewall allows SSH access from the entire Internet. You may wish to restrict access by customizing your NSG following installation. The process to do this is explained in Securing the SSH Login Method. 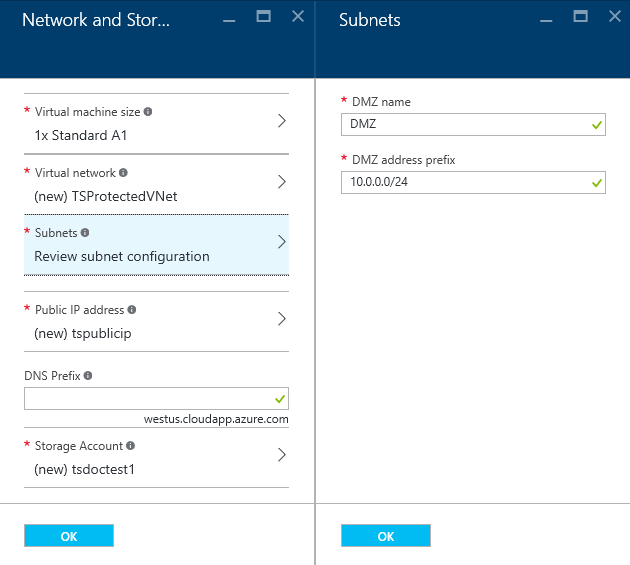 Assign the newly created NSG to your client subnet by selecting the subnet in the Azure portal, clicking on the Network security group button, selecting the newly created “TSDNSClientNSG” and clicking the Save button. No reboot is required at this time. 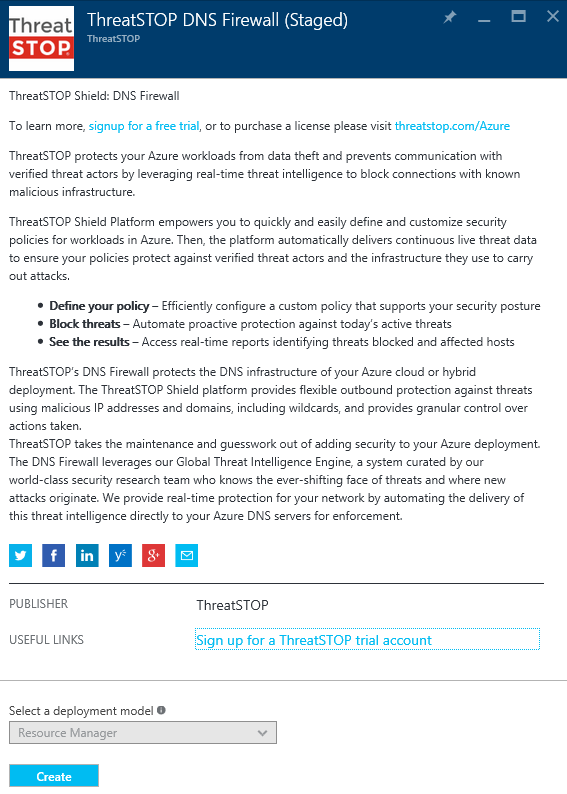 By default, the ThreatSTOP DNS Firewalls are configured to restrict DNS queries to your Azure virtual network. 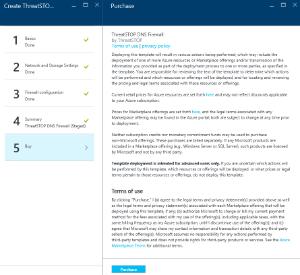 You may modify the configuration of your DNS Firewalls to allow queries from networks external to Azure. Modify the TSDNSNetworkSecurityGroup – this NSG is assigned to your DNS Firewall subnet and restricts inbound DNS traffic (port 53) to just the ThreatSTOP Masters at 67.207.213.0/24 and 192.124.129.0/24. These rules should not be modified. You may add additional rules to allow inbound DNS queries on port 53 from the networks of your choice. 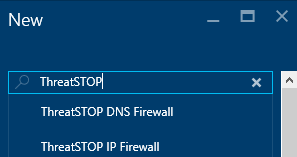 You will then need to adjust your network to use the Azure DNS Firewall as it’s DNS service, using the Virtual Net’s external IP address. Detected existing policy [Previous RPZ Zone name]. My Account: Generated keys will be listed at the bottom of the screen, or new keys can be created. For Azure keys, allow full permissions or deployment errors can occur. Dashboard: Generated keys will appear at the bottom of the Dashboard.